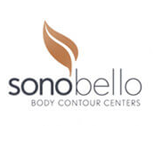 The Sono Bello Body Contour Center of Salt Lake City, UT, is where laser liposuction and laser body sculpting patients often go for effective treatments and natural-looking, long-lasting results. With nine body contouring clinics located nationwide, Sono Bello is able to treat hundreds of laser-assisted body sculpting patients every month, and its experienced staff of liposuction specialists ranks among the nation's best. Located South of Downtown Salt Lake City, Sono Bello regularly performs laser body contouring (SmartLipo) for Taylorsville, West Jordan and greater Salt Lake. Laser lipo treatments are always performed by board-certified surgeons at Sono Bello, so patients can trust that their procedure rests in experienced hands. All Salt Lake City liposuction procedures at Sono Bello are also performed at the clinic’s on-site, accredited surgical suite, so patients don’t have to travel to multiple locations to receive treatment. Contact our representatives for more information about laser liposuction in Salt Lake City, UT, or to schedule a free consultation for laser body contouring with Sono Bello! Sono Bello serves residents of Murray, Holladay, Midvale, West Jordan, Centerville and more. Sono Bello's Salt Lake City practitioners are board-certified plastic surgeons and cosmetic surgeons. The Sono Bello staff in Salt Lake City is comprised of board-certified plastic surgeons, highly trained cosmetic aestheticians, and dedicated patient coordinators. Sono Bello - Salt Lake City offers Complimentary Consultations. During a Sono Bello consultation, Salt Lake City patients will meet with both a knowledgeable patient coordinator and a board-certified surgeon prior to treatment to discuss their body contouring goals, needs and concerns. During these free consultations, patients can also expect a discussion of laser lipo treatment costs and an opportunity to plan and schedule their future Sono Bello treatments. The Sono Bello of SLC is part of a respected, nationwide multi-clinic network. Sono Bello's expert aesthetic staff performs hundreds of laser-assisted body contouring treatments each month for men and women. Sono Bello of Salt Lake City has an accredited, on-site surgical suite to perform liposuction for SLC, Taylorsville, West Jordan and Murray patients. This provides the combined benefits of convenience and safety for Sono Bello patients.